Pharmaceutical sales representative, Sasha Edmonds, is a motivated high-flyer with a stellar track record at Wexel Pharmaceuticals, Inc. Being the top sales rep and having a fianc who loves her is more than she could ever imagine. But it’s not enough. Her obsession with climbing the corporate ladder is the number one goal that she strives to reach by any means necessary. Until she learns that her mother requires a new medication for her life-threatening medical condition. 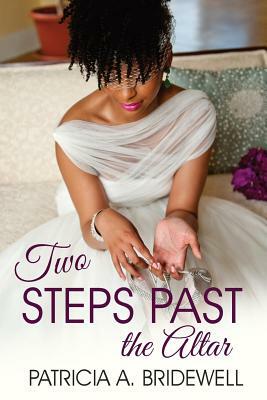 When she discovers that her fianc , Damien Taylor, may be cheating, she breaks off their engagement. In the midst of healing, she becomes captivated with Wesley Dunbar, a wealthy pharmaceutical businessman that may hold the cure for her mom and Sasha’s wounded heart. Although she attempts to resist Wesley’s romantic overtures, his charm, status, and kindness open a window of opportunities to consider. While Damien tries to woo her back into his life, her involvement with Wesley becomes complicated. A surfeit of lies and deception causes a web of mixed emotions as she struggles to help her mom and determine whether Damien or Wesley is the real love of her life. Tell us what do you think about Two Steps Past the Altar.